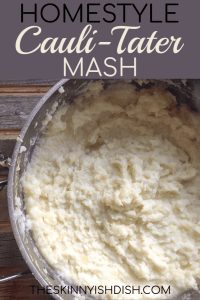 Is there anything better than Mashed Potatoes? I didn’t think so. I could pretty much live off potatoes, any way, any shape, any form. They are a perfect blank slate for so many creations, but they are also perfect left alone with a bit of salt and butter all mashed up. One day when I was in high school I saw something, somewhere about cauliflower replacing potatoes and I was absolutely appalled. I’m honestly not a huge fan of cauliflower. 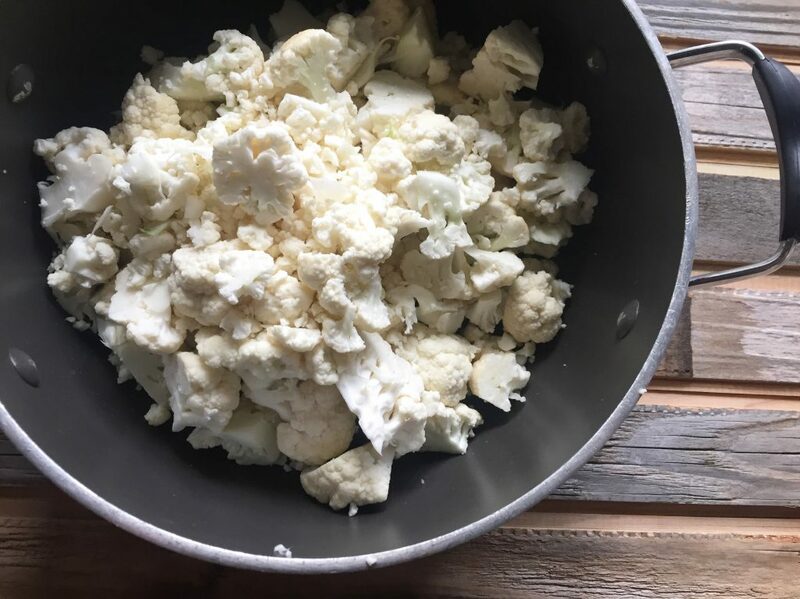 I won’t tell you what I think cauliflower tastes like, but I was intrigued by this idea because even back then I tried to lighten up dishes when I could. I remember making them and I wasn’t the biggest fan. 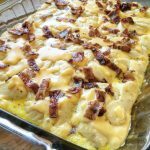 I liked them loaded with lots of cheese and bacon, and well that pretty much defeated the purpose of them being healthier. 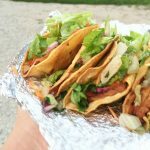 So a couple years later, I came back to them while trying some low-carb, fast track diet. I still wasn’t that big of a fan, BUT I was allowed to load them up with cheese and bacon, so I was okay with them. Fast forward just a couple more years and I had this handy dandy idea to combine cauliflower AND potatoes together so that you’ll still get the rich and creamy texture from the potato, but still the health benefits from the cauliflower. and it was wonderful, and I’ve been making my mashed potatoes exactly like this ever since. EVEN for Thanksgiving, and not one person can tell the difference. NOT ONE. I make a double batch of these and they disappear out of the bowl and people are licking their plates. 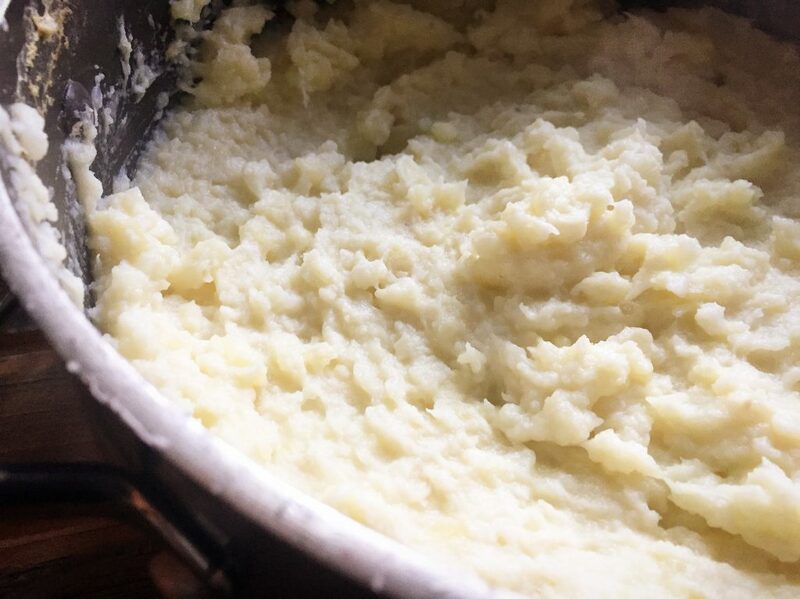 and it’s lovely, just like these mashed potatoes. 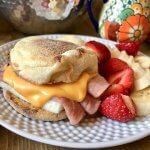 Here’s the super simple way to whip up a batch! You’ll never look back. 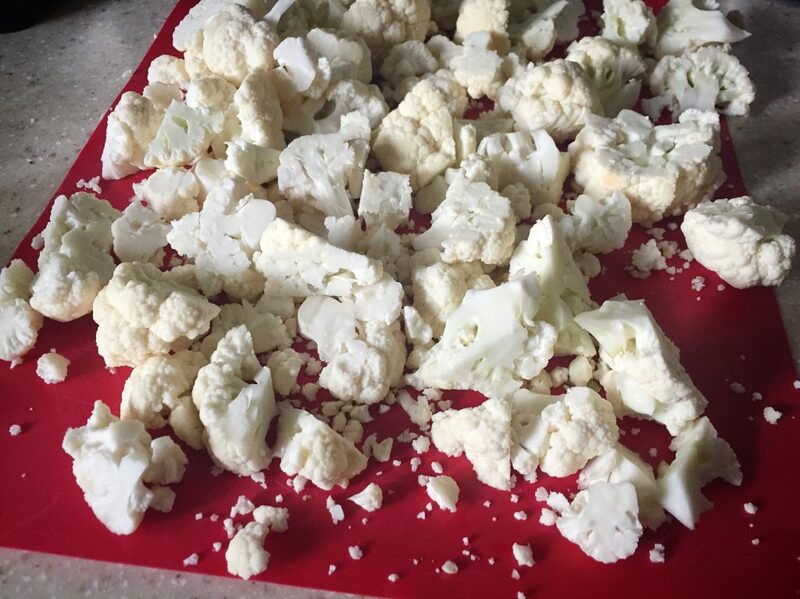 Start by chopping a large head of cauliflower into smaller pieces. I also chop most of the stem parts off and toss them. Now pour water over the cauliflower and potatoes add about 1 tbs of salt. Potatoes LOVE to boil in salted water. 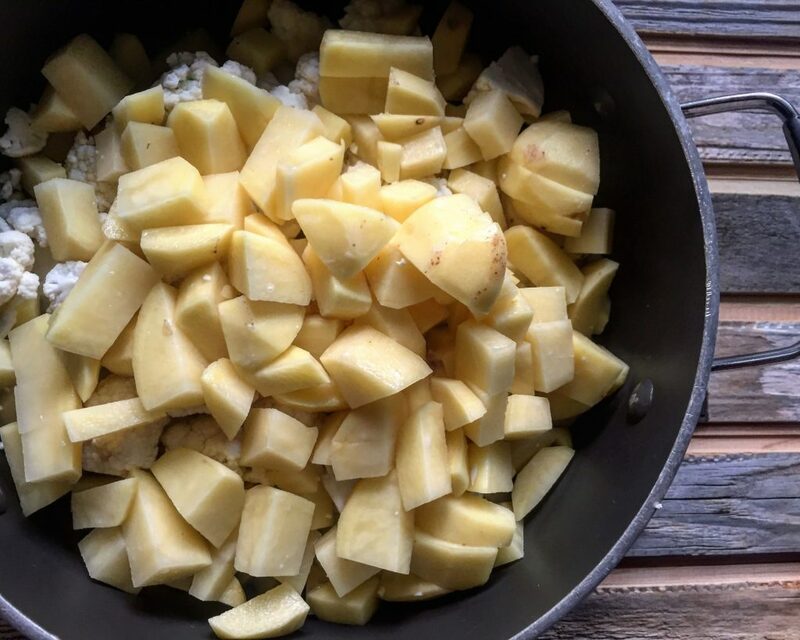 Boil potatoes and cauliflower until softened. Depending on the size of the chunks the time will vary, mine takes between 15 and 20 minutes. Strain the potatoes and cauliflower, return to the pot, and now here comes the fun part. Add your cream cheese, unsweetened plain almond milk, and BUTTER. Real glorious butter. I also add 2 tbs of dried minced onion, a few shakes of pepper, and about 1 tsp of season salt, then I mash my little heart out. 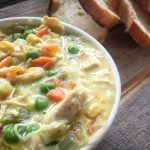 The more you mash the more creamy they will become. You can also use a hand mixer if you’d like, but I like to feel like I worked for my taters. 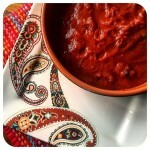 Simply beautiful and ready to compliment whatever meal your heart desires! My personal favorite is the photo above. 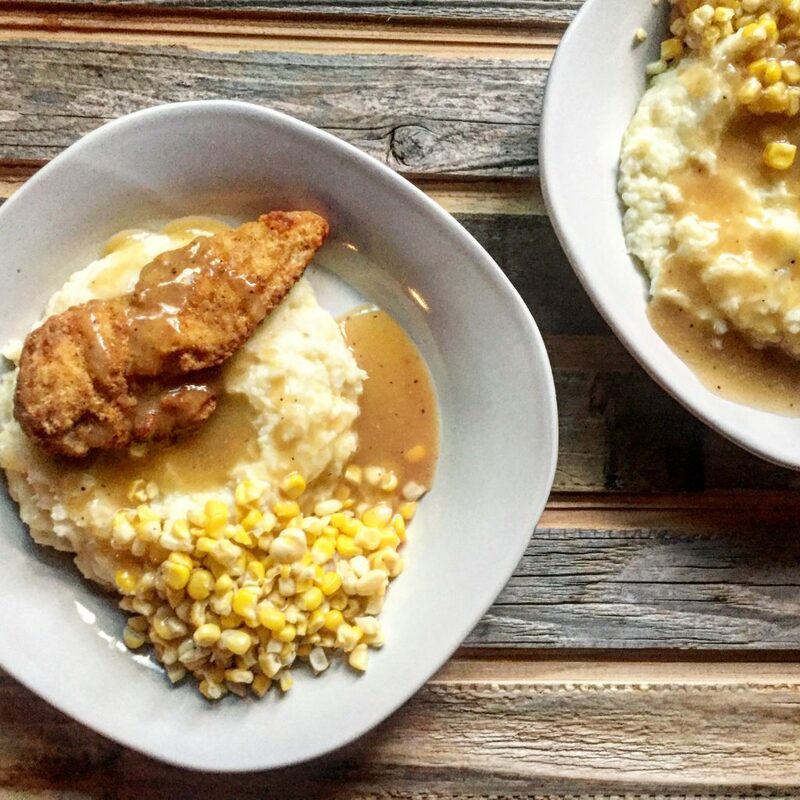 Chicken & Gravy, Mashed Potatoes, and corn. I’ll be sharing a recipe for some delicious baked breaded chicken here on the blog in the next couple of weeks. 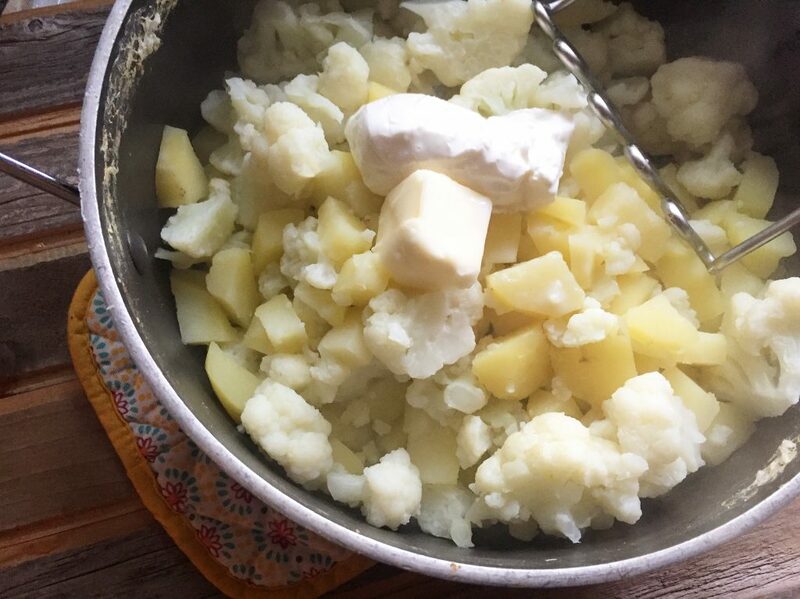 a creamy, delicious pot of potatoes and cauliflower like you've never tasted before. 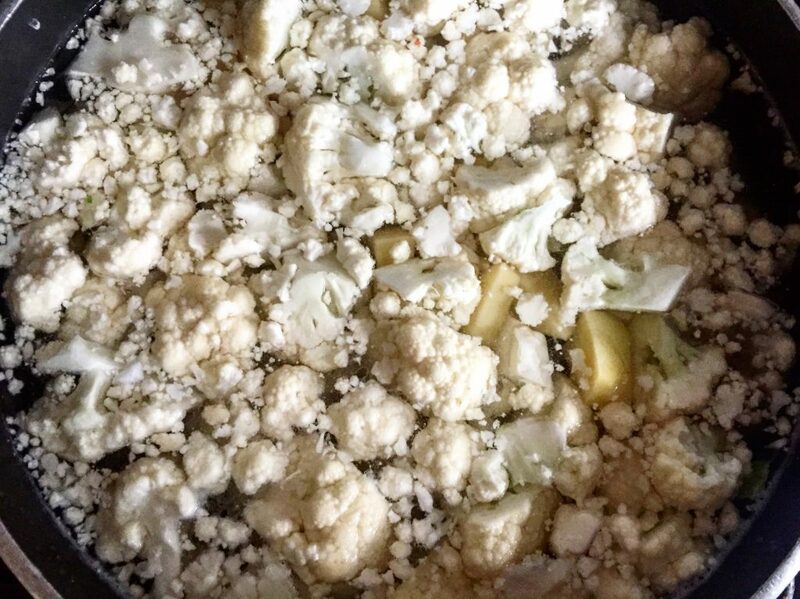 In a large stock pot add chopped cauliflower and potatoes. Add water until the mixture is covered. Add about a tbs of salt to the water. 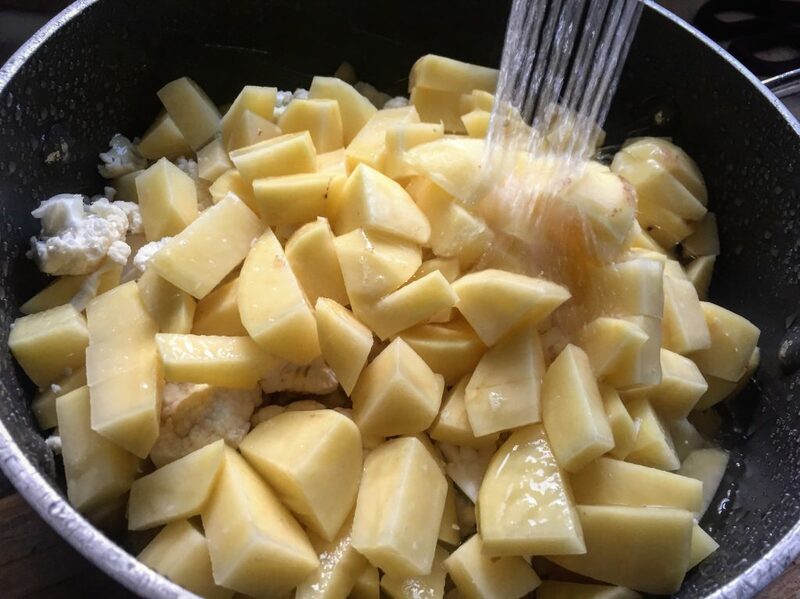 Boil the potatoes and cauliflower until soft and fork tender. Strain and return to the stock pot. Add cream cheese, butter, almond milk, season salt, and minced onion. Mash them up, salt and pepper to your own personal liking, and serve! Enjoy! Serving Size: 3/4 cup. 4 Smart Points. 3 Points Plus. 128 Calories, 4g of fat, 1.5g saturated fat, 20g carbs, 2g fiber, 1.5g sugar, 3g protein. 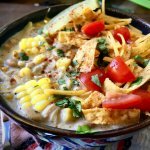 This is soooooo good even my cauliflower hating husband loves it!!!! Two thumbs up! 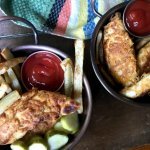 Did you ever post your recipe for the baked breaded chicken? It looks amazing!! Do you think this will freeze well? 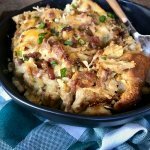 I hesitate with anything that has potatoes but I’m only feeding myself and want to try this with the Italian Beef on top! What could I sub for almond milk? My son is allergic! Thank you so much! 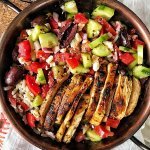 I made this for our Christmas dinner and the in laws had NO IDEA it was healthy! I’m never going to make it any other way! YESSSSS. I love hearing that, because I don’t think people completely believe me when I say that you don’t know there’s a bunch of cauliflower in with the potatoes! 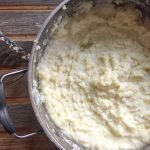 The potatoes really help keep the mash the perfect consistency and the taste is spot on! my favorite. 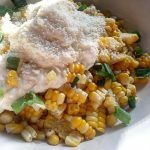 I made plain mashed cauliflower once before and my husband would not eat it. I made these tonight and he had no idea there was cauliflower in them! They were delicious! 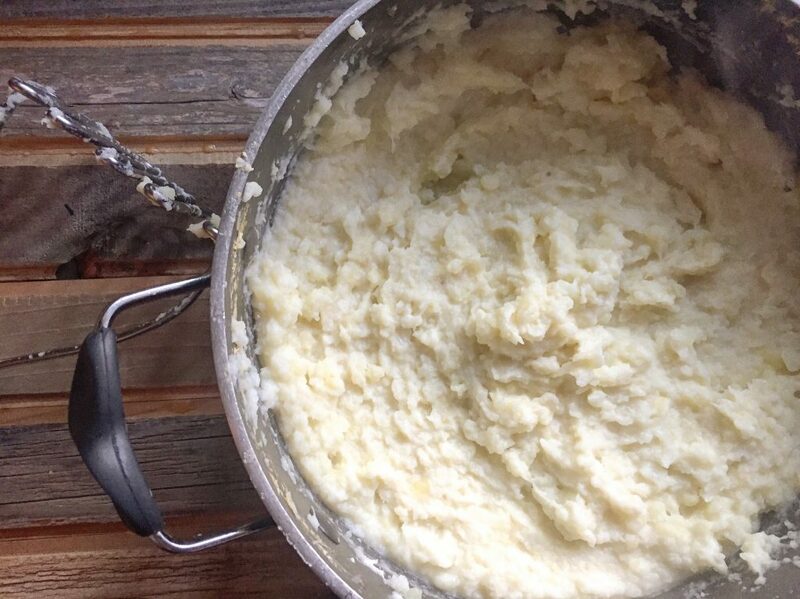 I don’t think I’ll ever make regular mashed potatoes again. Katy, Right!? I love the mix because not one person can tell there’s cauliflower! I can sometimes tell, but I think that it is all in my head because I KNOW it’s in there. I am so happy you were able to fool the hubby!